The Mumbai Indians will host the Chennai Super Kings today at the Wankhede Stadium for the 15 matches of the Indian Premier League 12. 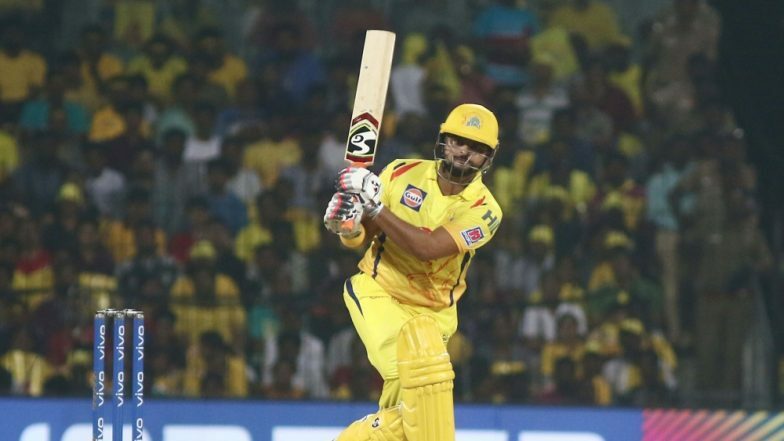 Suresh Raina, who has always been with the franchise since its inception could script a unique record in the fifteen games of IPL 2019. The stylish left-hander is just one catch away from getting 100 catches in the. Currently, Raina has 99 catches from 179 matches and tops the IPL charts. Mumbai Indians skipper Rohit Sharma stands on number two 79 catches from 176 matches. South Africa’s AB de Villiers stands on number three with 78 catches from 148 games. Mumbai Indians vs Chennai Super Kings Live Cricket Score. The stylish left-hander also happens to be the highest run-scorer in the history of IPL. Till date, Raina has scored 5070 runs and has 35 centuries under his belt. Meanwhile, Raina’s counterpart Dwayne Bravo is just one wicket away from snapping 100 wickets for Chennai Super Kings. The Caribbean cricket is about to script another record and could achieve another milestone during the match with Mumbai Indians. Bravo just needs one more catch to clinch 50 catches in the Yellow jersey. Dwayne Bravo on the Verge of Getting This Record for CSK During IPL 2019 Match Against Mumbai Indians. The match between Mumbai Indians and Chennai Super Kings will begin today at 8.00 PM. The visitors would like to improve their head-to-head record against the Mumbai Indians. Out of the eight games played at the Wankhede Stadium, CSK has just three games. MI vs CSK, IPL 2019 Match 15, Key Players: Rohit Sharma to MS Dhoni to Jasprit Bumrah, These Cricketers Are to Watch Out for at Wankhede Stadium.